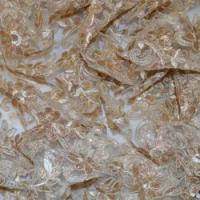 Lace Fabrics are a material patterned with open holes which can be made by machine or by hand. The holes can be formed by removing threads from a previously woven fabric but more commonly the spaces are created as part of the lace. Lace making is an ancient craft. Although no definite date can be given for the “invention “of Lace it is widely recognised that Lace Material arose sometime in the 15th Century and may have been brought to Britain a century later by Protestant refugees fleeing the continent. Particularly popular in the 17th Century, Lace Fabric was used to decorate everything from dresses to doorknobs! 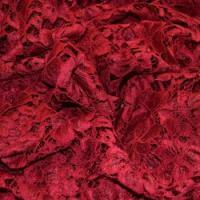 Lace Dressmaking Material has been popular in the fashion industry for centuries particularly with the Royal Family. Elizabeth I is famous for her extravagant and delicate white Lace collars and more recently Duchess Catherines' Sarah Burton for McQueen Lace wedding gown has spawned many imitations. Our range of Lace Fabric is machine made and is available in a variety of colours, perfect for wedding gowns, evening and cocktail dresses. This beautiful and elegant Bridal Fabric looks both delicate and exquisite. 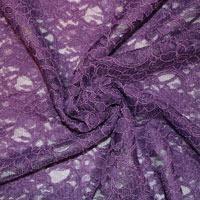 Buy Lace Fabrics Online for a wide range of projects including dressmaking and crafts.